Starting in 2019, Triangle Bass is implementing a Conservation Tournament format where anglers weigh their fish and release them rather than hold them until a weighin at the end of the day. Established in 2015 for tournament anglers by tournament anglers. Triangle ProAm Bass Anglers (or Triangle Bass) was founded by a several bass anglers looking to create a bass fishing tournament club that provided a blend of competition and camaraderie for anglers in the Raleigh, Durham and Wake Forest area. New in 2019: Triangle Bass has moved to a Conservation Tournament format. Unlike a conventional tournament format where an angler keeps his best 5 fish, we have moved to a new Conservation Tournament format made popular by the new professional bass tournament trail seen on TV. Instead of keeping fish and weighing in at the end of the day, anglers will weigh their fish and release them back to the water. 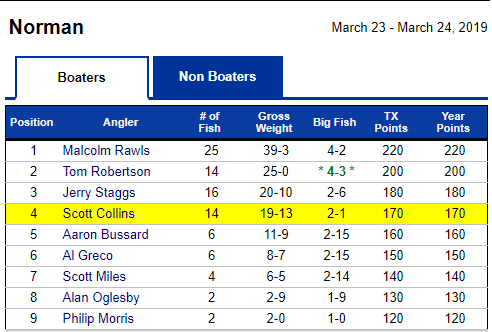 Anglers have access to a web site that allow them to enter their catch weight and view a real-time leaderboard to see how they stack up against other anglers. 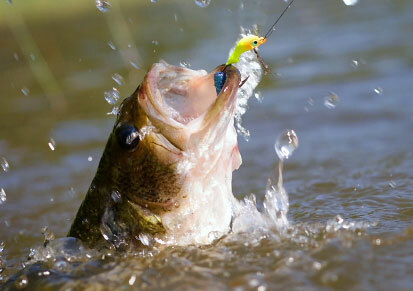 To support fish health and conservation, anglers will be responsible for proper fish handling and release practices. Penalties, which result in lost fishing time, will be assessed if an angler violates one of these practices. In this format, boaters will still compete against other boaters and non-boaters will compete against other non-boaters. These are not team tournaments. The boater's catch is separate from the non-boater's catch and there will be a winner from both the boater and non-boater side. The winner of each tournament will receive a trophy as well as monetary payback . Angler of the Year points will be accumulated for both boaters and non-boaters and the top 3 boaters and top 3 non-boaters will fish a money tournament the following season. In addition, Angler of the Year for both boaters and non-boaters will receive a trophy and a cash prize.